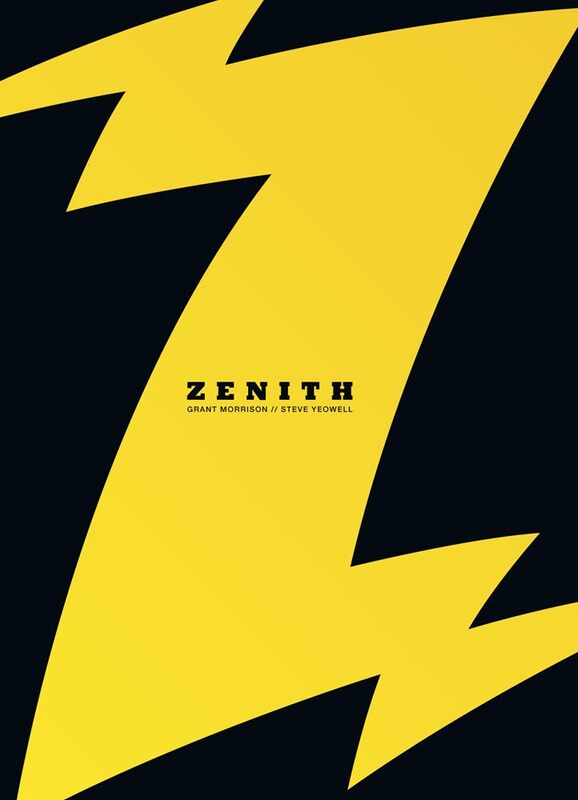 Available for pre-order from: 1 July 2013 Published: 1 December 2013 2000 AD is to publish a complete collection of Grant Morrison and Steve Yeowell’s ground-breaking superhero series Zenith for the first time. The limited edition hardback book will only be available from the 2000 AD online shop. Restricted in 1,000 copies, it will be available for pre-order from 1 July and will be published on 1 December. Never collected in its entirety before, this is a unique opportunity to own the whole of Morrison’s first superhero series in a never-to-be-repeated format. Zenith is the world’s first “Superbrat” – a vain, self-obsessed, egotistical pop singer whose only interests are girls, partying, and where he is in the charts. Yet he does not realise that there are mighty forces at work which seek to enslave the Earth – and use him to do it! Starting in 1987, Zenith heralded the arrival of a talent who has since gone on to become one of the biggest names in comic books. A very cynical British take on superheroes, Zenith showcases themes and ideas found throughout Morrison’s later work for Marvel and DC, and demonstrates his remarkable depth and maturity as a writer. Yeowell’s striking black and white artwork gave the strip a vitality and rawness that still shines through today. The collection will feature all four series, or ‘phases’, the latter two of which have never been reprinted. It will also include later stories by Morrison and Mark Millar. Both Grant Morrison and Steve Yeowell have been informed of the exciting plans for The Complete Zenith, and this new edition is being handled with the same respect and close attention to detail that 2000 AD gives all its much-praised archive reproductions. The Complete Zenith is one of more than 30 graphic novels that 2000 AD will release in 2013. This entry was posted in Columns and tagged 2000 ad, Grant Morrison, mark millar, steve yeowell, superbrat, zenith. Bookmark the permalink. Follow any comments here with the RSS feed for this post. Post a comment or leave a trackback: Trackback URL.